The life and assassination of Archduke Franz Ferdinand is as unlikely a topic for a cabaret dissertation as you are going to find, even on the fringe. While a relatively minor royal, his shooting in Sarajevo in 1914 precipitated a chain of events which led to greatest conflict this planet had ever known. 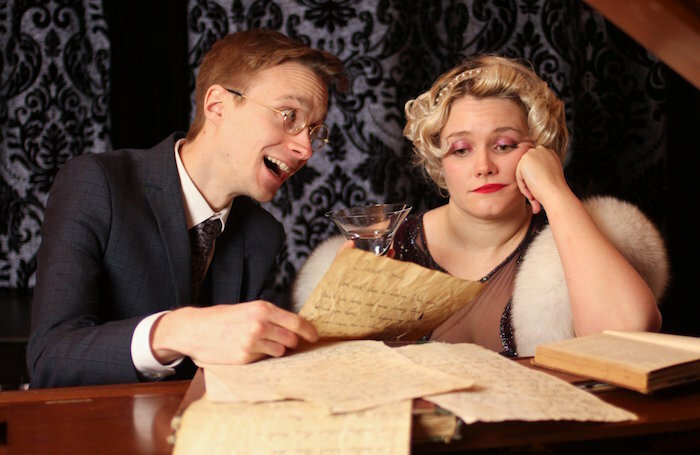 Glaswegian duo Ciadhra McGuire and pianist Erik Igelstrom return to the fringe clutching their trophy for best cabaret at Adelaide Fringe 2018. For Earnest and Wilde: Let’s Face the Music (and Franz), they tell Ferdinand’s story performing as time-travelling historians with a sideline in music. They might play fast and loose with the facts, but in general their story-telling technique has all the validity of a Lucy Worsley documentary but with a sassy jazz score. The bonus here is that the musical numbers are well-known pop songs, with original arrangements by Igelstrom and sung with gushing clarity by McGuire. Kylie, Boyzone and even Shaggy get a look-in, each tenuously linked to the Archduke, his beloved wife Sophie and their assassin Gavrilo Princip. The dynamic between the buttoned-down Wilde and the vivacious, hard drinking Earnest adds to the comedy, but it’s the fusion of song and story that flourishes here.